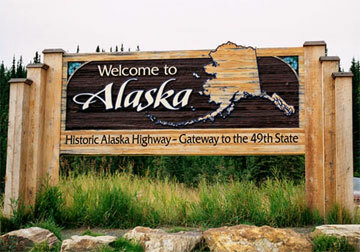 I have been a pastor since 1967 and have spent most of that time pastoring and doing counseling in Alaskan towns such as Homer, Seward, Anchorage, Fairbanks, and now Nikiski. I also founded Cornerstone Christian Center in the Washington, DC suburb of Springfield, VA. I am married, have three children, seven grand children and one great grandchild. My wife, Marveen is a certified elementary teacher in Alaska and Colorado and is retired from the State of Alaska where she worked as a legislative aide or chief of staff for several Alaskan representatives and senators. We LOVE to collect books, take care of a small army of backyard critters (birds and squirrels) and regularly fish together on the Kenai or Talkeetna Rivers for salmon. I am a member of the National Association for Christian Recovery. I also have experience working in a clinical setting and conducted group's in the mental health unit at Providence Hospital in Anchorage as a part of the New Life Clinic's in-patient program in the late 90's. I am also listed on the data base with the state of Colorado as a non-licensed psychotherapist and am a member of the Colorado Asssociation of Psyhotherapists. I hold masters degrees in both Theology (MTS) and Counseling (MC) from Cornerstone Graduate School in Fairfax, VA.
Wayne and Marveen Coggins are currently living in Nikiski, AK where Wayne is the senior pastor of a non-denominational church, North Kenai Chapel. Wayne also maintains a counseling office in Kenai, Alaska. The big news is that Wayne's first solo book has been released by Magnus Press and is now available. For information on this and other publications, see the Publications link.